Vitamin B12 and folate play important roles in your overall health by supporting healthy muscle tone in your gastrointestinal tract, optimal nervous system health and function, and healthy hair and skin. Both can be found in certain foods, but are also available through supplementation. 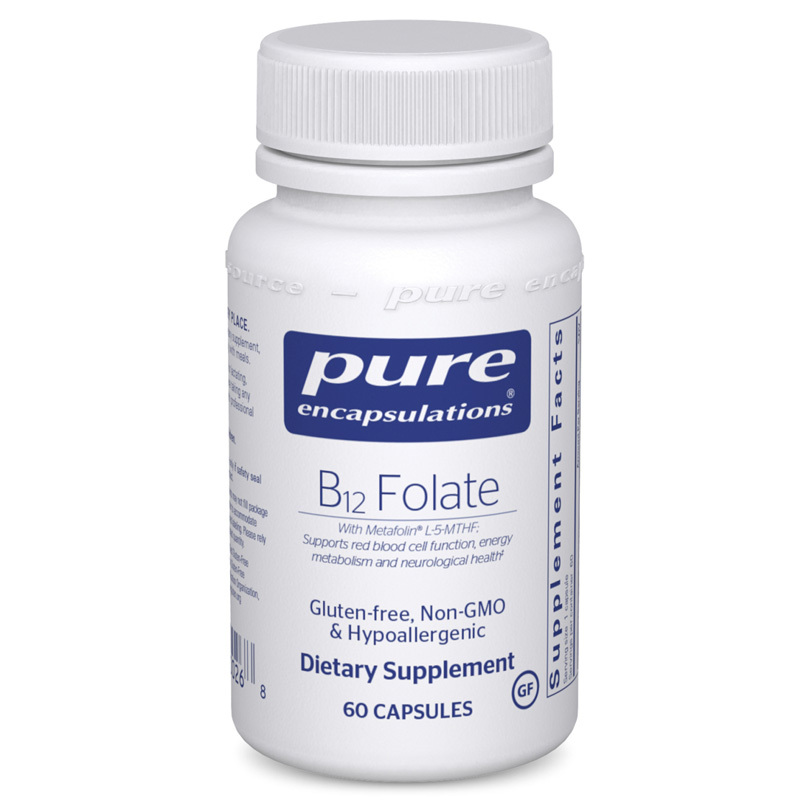 Pure Encapsulations B12 Folate is a hypoallergenic dietary supplement that delivers 800mcg of folate and 800mcg of B12 in every vegetarian capsule. B12 Folate comes in an easy-to-swallow vegetarian capsule form that can be taken once or twice every day for optimal health support. Give it a try today and stay on the all-natural pathway toward optimal overall health and wellness. Order yours now! Adults: As a dietary supplement take 1 to 2 capsules per day, in divided doses, with meals. This is an excellent product and it has helped my husband greatly. I will continue to purchase it.